Thermo Fisher Scientific provides an extensive range of healthcare solutions support the essential areas of nursing care, operating room, infection control, anaesthesia, critical care, pathology, clinical diagnostics, sterilisation and decontamination. Our sourcing and supply chain services ensure you have the right products at the right place at the right time. Whether preparing the operating room, organising the patient for surgery or prepping the instrument table we have the products you are looking for. Thermo Fisher Scientific offers a wide range of operating room consumables that meet the high standards of quality and performance required to enable safe surgical procedures. We offer a comprehensive range of Critical Care products that is constantly expanding with a focus on new products that complement the national health policy, professional needs and work practices in the dynamic healthcare community. Our portfolio includes products by Signostics Limited, Parker Laboratories and Gallini Medical Devices, as well as our own brand products such as positioning foams and lead protective products. 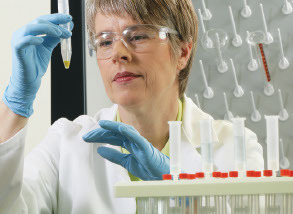 As a market leader in diagnostics and scientific research, we have an extensive range of consumables, reagents, chemicals and instrumentation for pathology testing and the laboratory. Our range include products for Anatomical Pathology, Clinical Microbiology and Clinical Diagnostics . Our locally manufactured promed® Custom Procedure Packs offer you a customised solution designed to reduce waste, reduce procedural set up time, and offer improved clinical patient outcomes. Brand options for the custom pack components are extensive - individual components can include drapes and gowns, absorbency and fluid management, single use instruments, suction tubing, products for infection prevention and much more. Our clinical consumables portfolios offer a comprehensive range of products and solutions supported by clinicians with expertise in key clinical environments. Designed for high and low risk clinical settings, our range covers a broad spectrum of superior quality, easy to use and reliable products. Effective infection control is essential to providing high quality healthcare for patients and a safe working environment for healthcare professionals. Our range of infection control products meets the national health policy and the needs of professional work practices in the dynamic healthcare community.